Join the 5 days / 6 nights overnight Similan Cruise starting from Phuket. Sail and dive on a luxury 35 meter sailing yacht "Diva Andaman", fully equipped for scuba diving and a boat crew, which will make your days on board to something special. 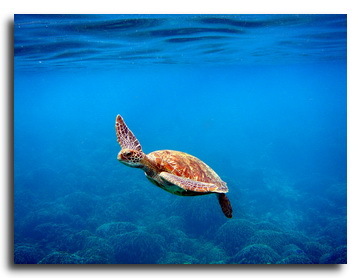 On the first day you will depart about 6.00 pm and cruise through the night to the South Similans. For 5 days you will discover amazing landscape and underwater world of Similan islands and on the last day about 9.00 am you will return back to Phuket. 04.00 pm - 06.00 pm Boarding at Chalong pier in Phuket. 06.00 pm - 07.00 am Welcome Drink, Safety & Trip Briefing followed by Dinner on Board while cruising to the Similan islands. 07.00 am - 12.00 pm Breakfast on Board - 1st and 2nd Dive in the South Similans. 12.00 am - 02.00 pm Lunch on Board. 02.00 pm - 08.00 pm 3rd and 4th Dive in the Central Similans. 08.00 pm - 10.00 pm Dinner on Board. 07.00 am - 12.00 pm Breakfast on Board - 5th and 6th Dive in the Central Similans. 02.00 pm - 08.00 pm 7th and 8th Dive in the Central Similans. 08.00 pm - 11.00 pm Dinner on Board While Sailing to the North Similans. 07.00 am - 12.00 pm Breakfast on Board - 9th and 10th Dive at the North Similans. 02.00 pm - 08.00 pm 11th and 12th Dive at the North Similans. 08.00 pm - 01.00 am Dinner on Board While Sailing to Koh Bon. 07.00 am - 12.00 pm Breakfast on Board - 13th and 14th Dive at Koh Bon. 12.00 am - 02.00 pm Lunch on Board while Sailing to Koh Tachai. 02.00 pm - 08.00 pm 15th and 16th Dive at Koh Tachai. 08.00 pm - 04.00 am Dinner on Board While cruising to Richelieu Rock or Boonsoong Wreck. 07.00 am - 12.00 pm Breakfast on Board - 17th and 18th Dive at Richelieu Rock or Boonsoong Wreck. 02.00 pm - 03.00 pm 19th Dive at Richelieu Rock or Boonsoong Wreck. 03.00 pm - 06.00 am Dinner on Board while Sailing to the Pier of Chalong in Phuket. 06.00 am - 08.00 am Breakfast on Board while cruising back to Phuket. 08.00 am - 09.00 am Disembarking at the Pier of Chalong in Phuket. For more details about the Similan Cruise and this classic sailing yacht, please click on a link below. More information about this cruise and yacht.